How to test Rectifier Diode? Rectifier diode – semiconductor diode designed for rectifying alternating current (mostly with low power frequency – 50 Hz at high power emitted during load). To “rectify” the meaning of this component, its main task is the conversion of the alternating current (AC) into direct current (DC) through the application of rectifier bridges. The variant of rectifier diode with the Schottky barrier is particularly valued in digital electronics. Rectifier diode is capable of conducting current values varying from several miliamperes to few kiloamperes and voltages up to few kilovolts. The most typical rectifier diodes are made from silicon (semiconductor crystal). 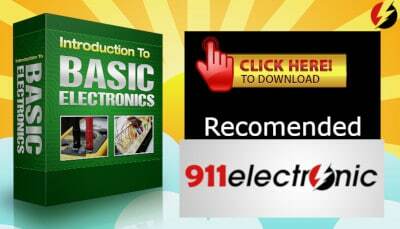 They are able to conduct high values of electric current,and that can beclassified as its basic feature. There are also less popular, but still used semiconductor diodes made from germanium or gallium arsenide. Germanium diodes have much lower permissible reversed voltage and a smaller permissible junction temperature (Tj = 75° C for germanium diodes and Tj = 150° C for a silicon diode). 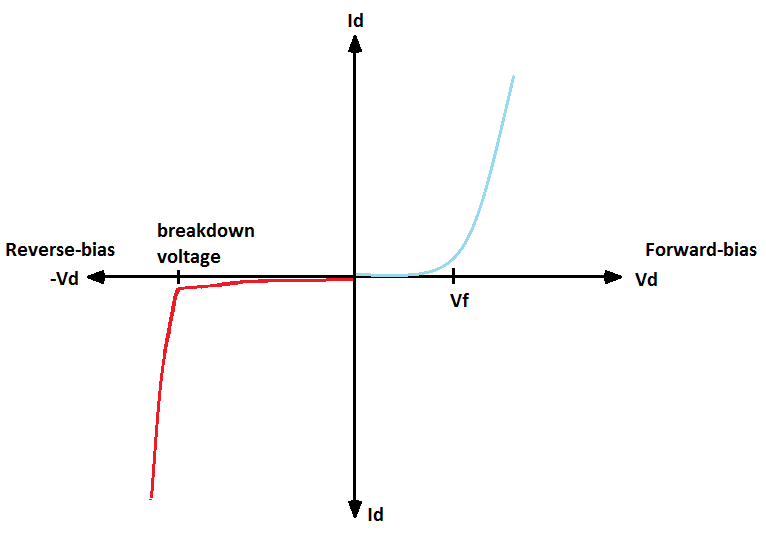 The only advantage that germanium diode has over silicon diode is lower threshold voltage value during operating in a forward-bias (VF(I0) = 0.3 ÷ 0.5V for germanium and 0.7 ÷ 1.4V for silicon diodes). 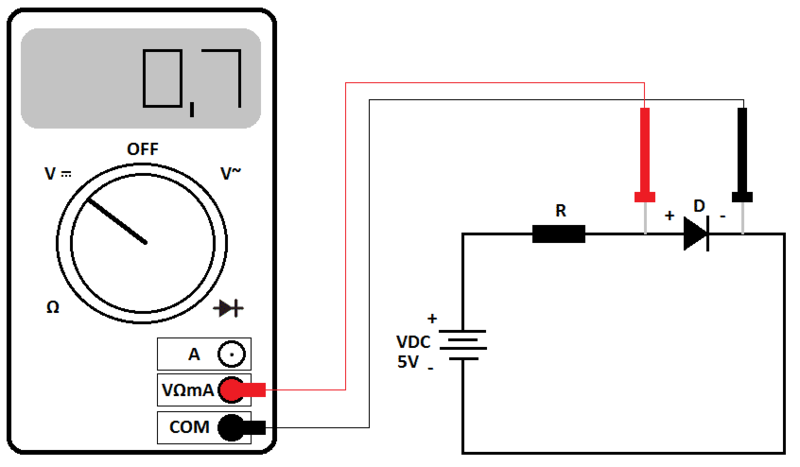 IR – reverse current at VRWM peak reverse voltage operation. 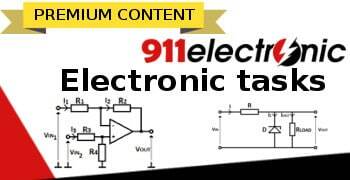 If you are a student or simply want to learn how to solve Rectifier Diode tasks, please visit this section of our website where you can find a wide variety of electronic tasks. 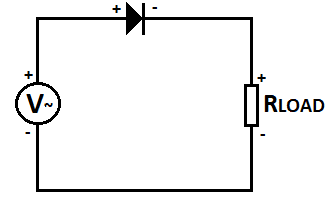 An example of a high-performance diode is a double high current rectifier diode with a current of 2x 30A. 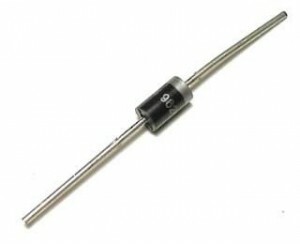 STM offers a double high voltage rectifier diode called STPS60SM200C. The diode is best suited for base stations, welders, AC/DC power supplies and industrial applications. The value of VRRM breakdown voltage is 200V, conduction voltage 640mV, and its current memory is 2x30A. An additional safeguard is from a electrostatic discharge called ESD to 2kV. The operating temperature range is -40° C to 175° C. Such temperature values allow the diodes to be used under all conditions in the base stations. Current-voltage characteristics of the rectifier diode are shown below (Fig. 3.). A “diode check” function will give the same result as using method mentioned above. Structure and number of phases of supply voltage: single phase bridge rectifier, the multi phase bridge rectifier (three phase bridge rectifier, two phase bridge rectifier). A number of half-wave rectification voltage: single bridge (half-wave rectifier), double bridge (full-wave diode rectifier). 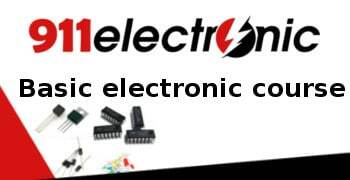 We can create the combined circuit like single phase full-wave bridge rectifier or 3 phase full-wave rectifier. You can combine the number of phases with full or half-wave rectifiers. Load type: resistive, capacitive, inductive. VRmax – Maximum reverse voltage. 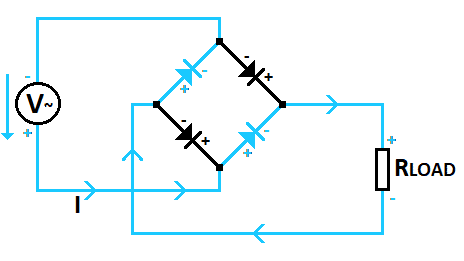 Half-Wave Bridge Rectifier is the simpliest circuit that can convert alternating current (both signs, + and -) to a current of one sign (+). 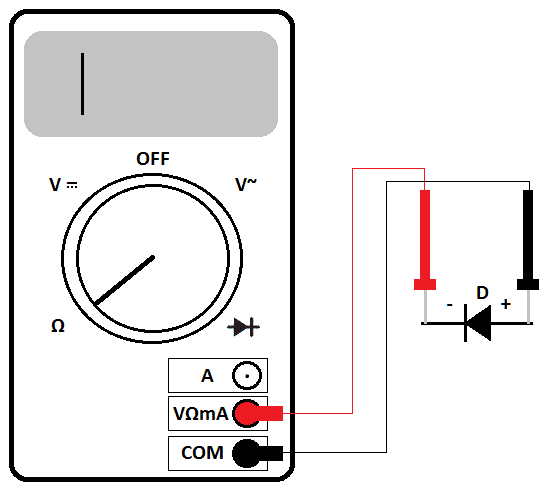 After further filtering the obtained output current, it can be changed to the direct current. On the output of this circuit we will obtain a sine wave with only positive half of its period and this is why it is actually called a Half-Wave Rectifier. There will be no “negative part” of the sine wave, because rectifier diode conducts only when it is forward-biased (positive voltage). The current flows through the resistive load only in one direction in a pulsating manner. 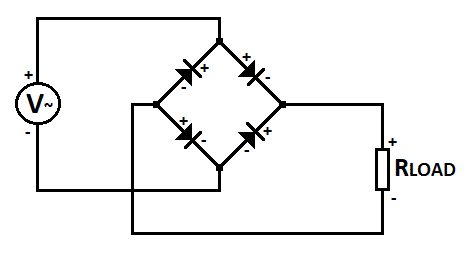 The Full-Wave Bridge Rectifier circuit is shown below. It is often called the Graetz Bridge. Operation principle of the Full-Wave Bridge Rectifier is as follows. 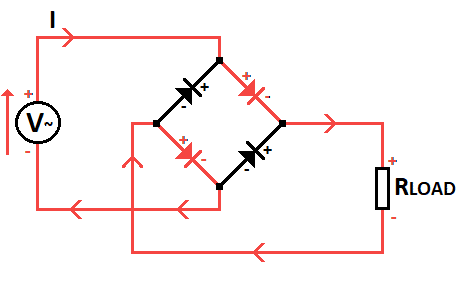 The picture below (red) shows the path of the current, two red diodes are forward-biased (conducting current), while other two are reverse-biased (not conducting current). Current is flowing from the supply through first red diode. Then from the first red diode through the load. After it passes the load it will flow through the second red diode and after that back to the power supply. While the supply voltage changes its polarity, situation described above will be opposite (blue circuit below). Two blue diodes are forward-biased (conducting current), while other two are reverse-biased (not conducting current). Current is flowing from the supply through first blue diode. Then from the first blue diode through the load. After it passes the load it will flow through the second blue diode and after that back to the power supply. The use of a three phase diode bridge rectifier (full-wave bridge rectifier) is possible in any of the three phase voltage circuits. In this case, the output voltage has a minimum ripple. Power sources use the power of the circuit in its greatest extent. 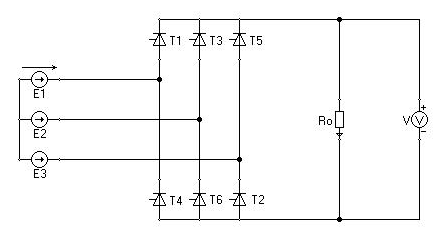 Three phase bridge rectifiers often have the ability to control the output current. Below you can observe three phase rectifier circuit schematic which shows you how it can be built. Down below is an example of three phase bridge rectifier calculations with equations and values for the given scheme. Results are shown in the table below. The full-wave bridge rectifier is commonly seen as a one-chip integrated circuit. It is built of four rectifier diodes in the Graetz bridge system. It can be used for a THT and SMD mounting. Using this solution is the most popular, economical and saves space on the Printed Circuit Board. Picture above shows the connectors that are in each bridge rectifier circuit integrated circuits. The (+) sign corresponds to the + VDC output, the (-) sign corresponds to the – VDC output, the characters (~) correspond to the VAC connection. 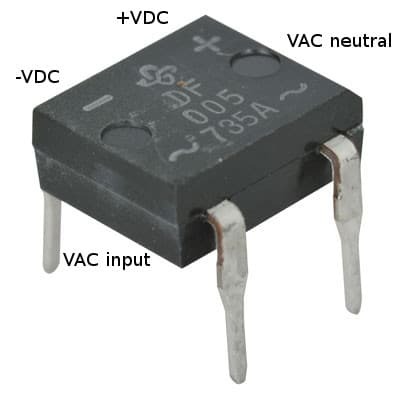 The proper voltage connection is made by connecting the VAC input to the + VDC output horizontally, and the VAC output to the – VDC output horizontally.